We provide all the fun and take away all the fuss of organising your child’s birthday party, with everything from party food, party invitations and a themed party food area included in the price. Just bring the cake! Why not add party bags? Suitable for both boys and girls, they contain a plastic Rainbow Slinky Spring, Craft Dough Box, Bubbles, Lolly, Starbursts or Flumps. 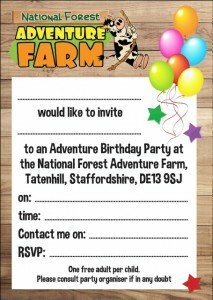 Click here to download a printable PDF of our party invitations to print and give to your friends! Click here to download the Party Attendees form. We need this form when you arrive at the Adventure Farm. Whilst we are happy to organise the celebration, parents / carers are required to supervise the children. 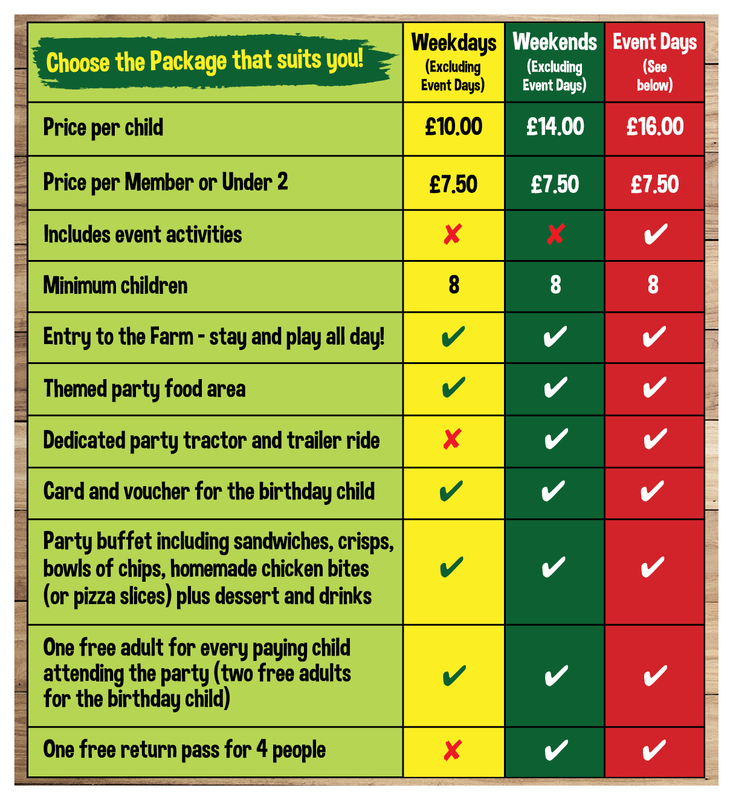 A £30.00 non-refundable deposit is required when booking your party.